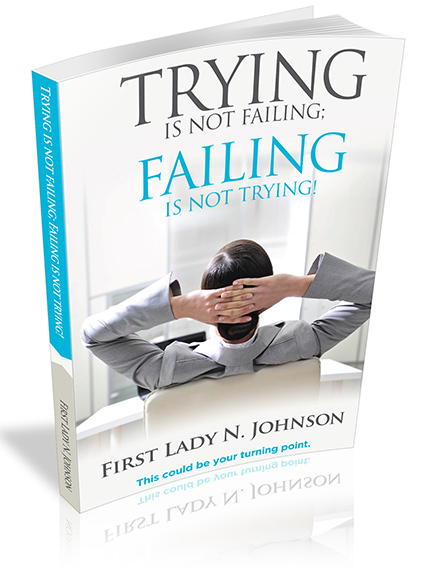 Trying is Not Failing; Failing is Not Trying was written by First Lady N. Johnson. Have you ever wondered what you would do if you knew you couldn’t fail? In this book we will examine the obstacles to success, and be careful to remain solution focused: on how we can overcome some of these barriers. We will also examine the importance of faith in God, as well as, the role of confidence and mindsets. Finally, we will look at the need to make decisions versus procrastination. I hope that you will find chapter seven on: “What’s stopping you?” a real motivation, as we learn together that: trying is not failing and failing is indeed not trying. You can’t succeed unless you try. Success will be forthcoming if you are determined, consistent and proactive. It will also come once you have made a decision to never give up.